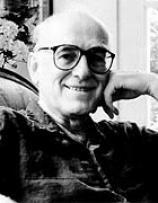 Donald E. Westlake is widely regarded as one of the great crime writers of the 20th century, and by some enlightened souls (including those at Newsweek) as one of the great writers of the century, period. He won three Edgar Awards and was named a Grandmaster by the Mystery Writers of America. Many of his books have been made into movies; Westlake also wrote the screenplay for The Grifters, for which he received an Academy Award nomination. What will a group of monks do when their two-century-old monastery in New York City is threatened with demolition to make room for a new high-rise? Anything they have to. "Thou Shalt Not Steal" is only the first of the Commandments to be broken as the saintly face off against the unscrupulous over that most sacred of relics: a Park Avenue address. Returning to bookstores for the first time in three decades, BROTHERS KEEPERS offers not only a master class in comedy from one of the most beloved mystery writers of all time, but also a surprisingly heartfelt meditation on loss, temptation and how we treat our fellow man. Two decades ago, the producers of the James Bond movies hired legendary crime novelist Donald E. Westlake to come up with a story for the next Bond film. The plot Westlake dreamed up --- about a Western businessman seeking revenge after being kicked out of Hong Kong when the island was returned to Chinese rule --- had all the elements of a classic Bond adventure, but political concerns kept it from being made. Never one to let a good story go to waste, Westlake instead wrote an original novel based on the premise --- a novel he never published while he was alive. Now, nearly a decade after Westlake’s death, Hard Case Crime is proud to give that novel its first publication ever. It isn't easy going to jail for a practical joke. Of course, this particular joke left 20 cars wrecked on the highway and two politicians' careers in tatters --- so jail is where Harold landed. Now he's just trying to keep a low profile in the Big House. He wants no part of his fellow inmates' plan to use an escape tunnel to rob two banks. But it's too late; he's in it up to his neck. And that neck may just wind up in a noose. In Donald E. Westlake's final unpublished novel, the year is 1977, and an aging, legendary Hollywood comedian is kidnapped by a revolutionary cell desperately trying to reignite the 1960s. The tension builds as the comedian struggles to survive, but nothing in this noir tale is as simple as it seems. For 25 years, Burke Devore has provided for his family and played by the rules. Until now. Downsized from his job, Devore is slipping away: from his wife, his family, and from all civilized norms of behavior. He wants his life back, and will do anything to get it. In this relentlessly fascinating novel, the masterful Westlake takes readers on a journey of obsession and outrage inside a quiet man's desperate world.